St. Mary's of Michigan is now part of a national organization and is first to adopt the unified name of Ascension. Ascension has announced a significant transformation of its national structure and local identity to better connect every aspect of care and innovation across its care sites and subsidiaries. By organizing the system's areas of expertise within two divisions -- Healthcare and Solutions. Ascension will enhance internal collaboration, better support its physicians and other caregivers, and ultimately provide more affordable, high-quality care for its patients across much of the nation. The hospitals and other sites of care that are part of the current systems of Ascension Michigan -- Borgess in the Kalamazoo region; Crittenton in suburban Detroit; Genesys serving the Flint/Grand Blanc area; St. John Providence in metro Detroit; St. Joseph in Tawas City; and St. Mary's with services in Saginaw and Standish will adopt the Ascension identity. Similarly, the hospitals and other care sites of the current systems of Ascension Wisconsin -- Ministry Health Care, Columbia St. Mary's and Wheaton Franciscan Healthcare, serving residents across the state -- will now use the Ascension name. By creating more consistent names for its facilities and services across the country, Ascension is making it clearer and easier for patients to access the care they need and to navigate their health. "As we focus on being a vibrant Catholic health ministry and delivering compassionate, personalized care to all, with special attention to persons living in poverty and those most vulnerable, it is important that we accelerate the transformation of our organization into a connected community of healing across the country," said Anthony R. Tersigni, EdD, President and Chief Executive Officer of Ascension. "We have an obligation to provide high-quality, affordable care, and quality outcomes, with an enhanced experience for our patients and our providers. Adopting a unified Mission statement and creating a clear and consistent identity reflect our collaborative national system and move us in this direction." Collaboration among Ascension's hospitals across the country already has benefited those who are struggling the most. Through the system's participation in the Veterans Choice Program, more than 3,000 military veterans who were waiting for care through the U.S. Department of Veterans Affairs have been able to access Ascension hospitals, clinics and doctors across the country. Through the Ascension Medical Mission at Home, a common initiative across the communities Ascension serves, the national health system offers free community health events that provide families with low income or without insurance access to medical care. To date, thousands of individuals have received free screenings, medical services, dental care, prescriptions and spiritual care through Medical Mission at Home. "We know people have many options for their health and wellness needs, and we want to make sure we're offering access to a connected, integrated group of medical professionals who can best meet their needs on their terms, with the best possible service and care." Ascension's new Healthcare Division includes the organization's hospitals and related sites of care, as well as community clinics, Ascension Senior Living, the home care and hospice partnership Ascension At Home, Ascension Clinical Holdings, and the nation's second largest doctor-led physician practice, Ascension Medical Group. Ascension's newly organized Solutions Division brings together a number of existing subsidiary organizations that support the delivery of coordinated, high-quality healthcare services. These Ascension subsidiaries provide a variety of solutions including clinical care management, information services, contracting through Ascension's provider-sponsored group purchasing and business transformation organization, biomedical engineering, venture capital investing, and an SEC-approved investment management company. A number of these solutions already offer services to other healthcare providers. 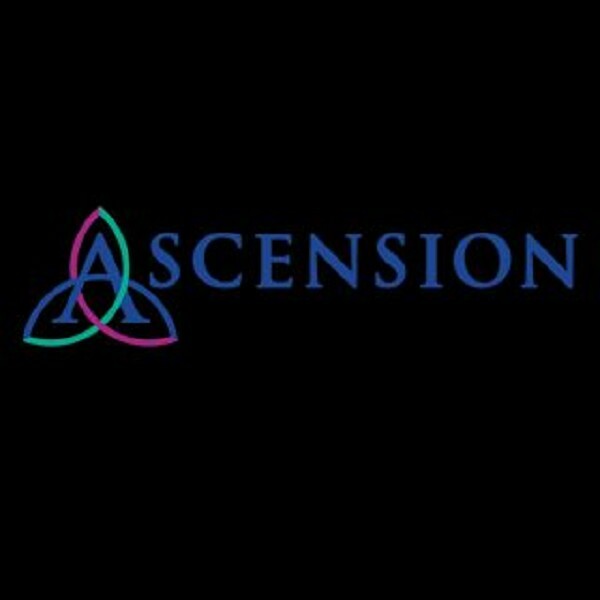 "For the past several years, Ascension has been on a journey to create what we call 'One Ascension," said Robert J. Henkel, Executive Vice President, Ascension, and President and Chief Executive Officer, Ascension Healthcare, a division of Ascension. "As we work together to sharpen our focus on clinical quality and safety, we also are expanding beyond traditional hospital-based approaches, collaborating with community partners to build clinically integrated systems of care to eliminate health disparities and improve the health of communities."